Fresno’s mayor also talked about industrial development in south Fresno and uses for legalized marijuana revenues. “There’s certainly a need for parks. There’s a need for public safety. My goal is to get the two sides together to find a way in 2020 to provide a more balanced approach,” Brand said. He floated the idea of a half-cent sales tax, which would raise $50 million annually. “It would totally transform this city,” Brand said. Brand compared a potential parks/public safety tax to Measure Z, the county-wide zoo tax that, in his description, turned a run-down zoo into a world-class facility. Measure P, a three-eighths-cent sales tax that would have raised $38 million a year for parks, garnered 52% support in November. But it needed two-thirds approval to pass. Brand said, that unlike the 30 years of taxes in Measure P, he’s looking for a shorter duration. 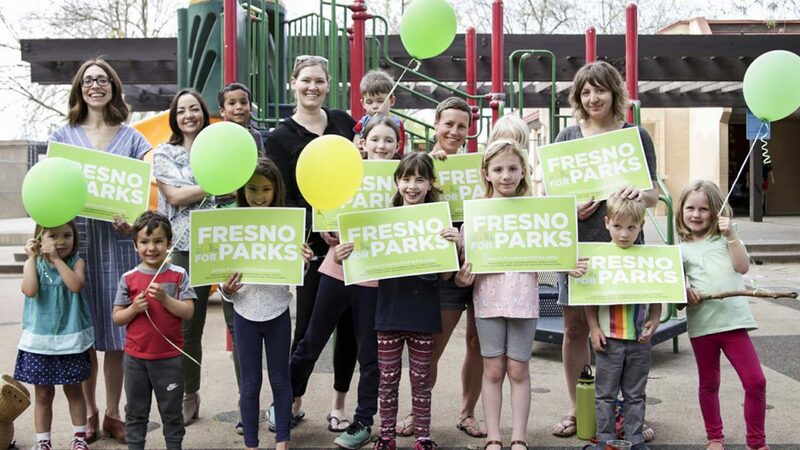 Fresno Building Healthy Communities, which was part of the Yes on Measure P coalition, sent Brand a letter last week, exploring the possibility that the parks tax could pass with 52%. The letter, from attorney Lance Olson of Sacramento firm Olson Hagel & Fishburn LLP, asked Brand to take action to start the tax collection process. BHC is using a 2017 state Supreme Court decision on implementation of petition-led tax initiatives, like Measure P.
The Fresno City Council will discuss the item in closed session Thursday (Jan. 31). A City Hall spokesman said the mayor is likely to let the council respond to the letter. Fresno BHC president and CEO Sandra Celedon did not respond to GV Wire’s request for comment. But the organization tweeted that it wanted parks supporters to be at City Hall at 10 a.m. Thursday for the council meeting. At Wednesday’s breakfast, Brand touted the city’s 5.4% unemployment rate and the jobs created by the opening of Amazon and Ulta Beauty warehouses in south Fresno. He lamented, however, a lawsuit brought by neighbors and environmental groups that scuttled development of an adjacent 110-acre industrial park. Developer Caglia Environmental hoped to build the site but pulled out as the case made its way through court. Brand said what turned the tide was the intervention of the state Attorney General’s office on behalf of the plaintiffs. “No good deed goes unpunished,” Brand said. The lawsuit alleged that the city signed off on the project without it receiving a proper environmental review. 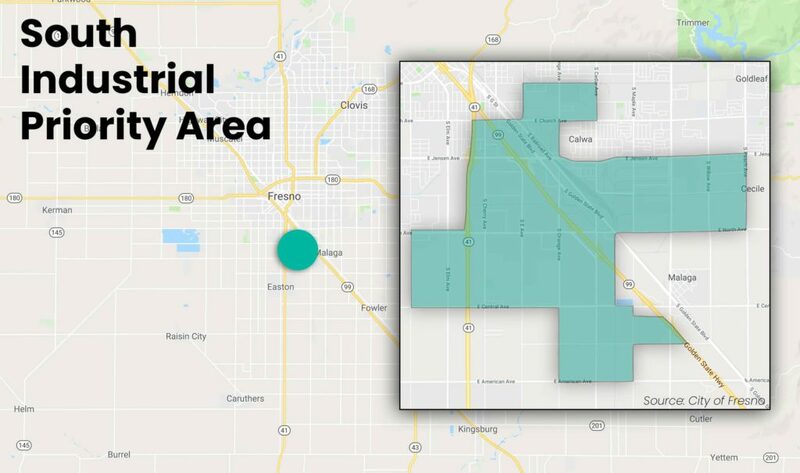 The city now is spending $500,000 to produce an EIR for an expanded zone described as a “South Industrial Priority Area” (click here for detailed map). Brand said it should be completed by the end of 2019. He said three major employers wanted to move in: an electric car parts manufacturer, a shoe distributor, and a container company. They could provide up to 3,500 jobs, the mayor said. Brand continued to voice his support for medical marijuana dispensaries in Fresno and his opposition to recreational cannabis sales. 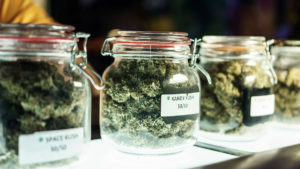 After city voters passed Measure A in November to create a business license tax, the council moved ahead on licensing medical cannabis dispensaries in the first year, and recreational afterward. 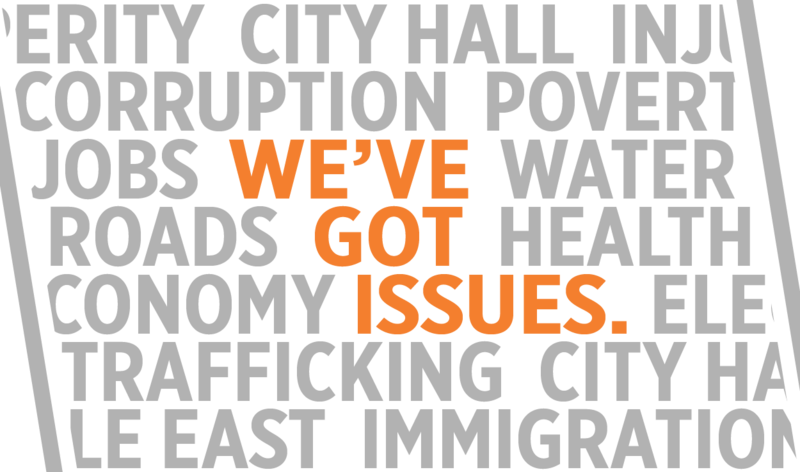 Brand said he would like the city’s cannabis revenues to go to fight human trafficking.